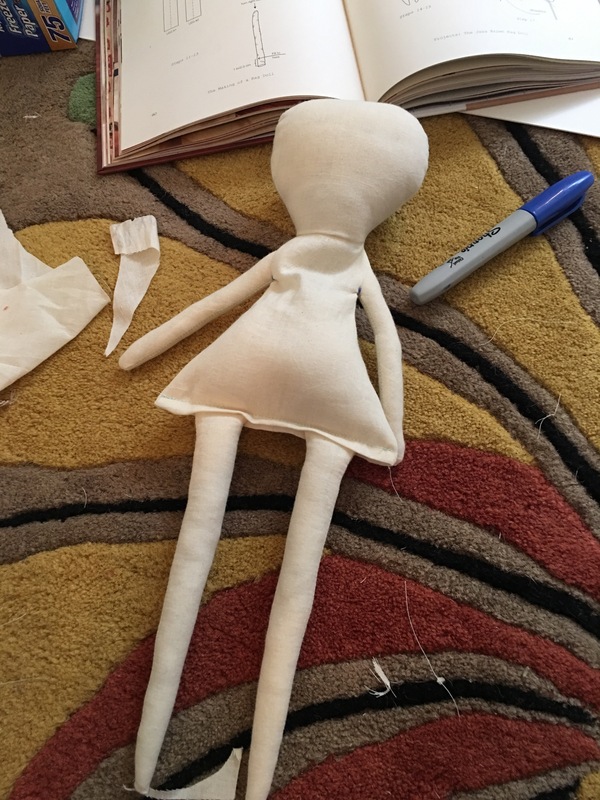 Then I continued to patiently stuff the doll body with small tufts of stuffing, packing them into the corners with my chopstick until the doll felt nice and sturdy. 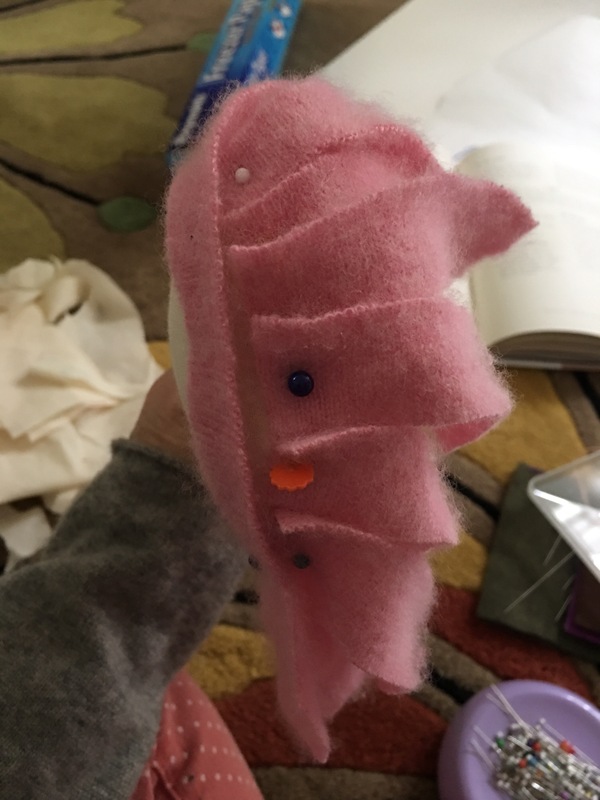 I whip stitched up the stuffing hole in the back and marked the placement of eyes and mouth with pins, then stitched away! I must say I’m pretty happy with her face. Those star stitches are just dreamy as eyes. 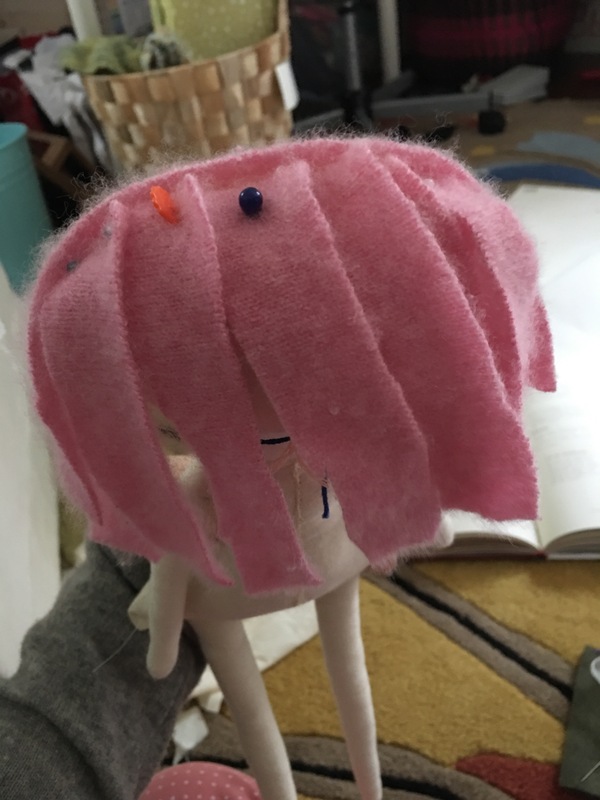 I decided to give her soft pink hair cut from a cashmere maternity sweater that was hole-y and felted from the wash. 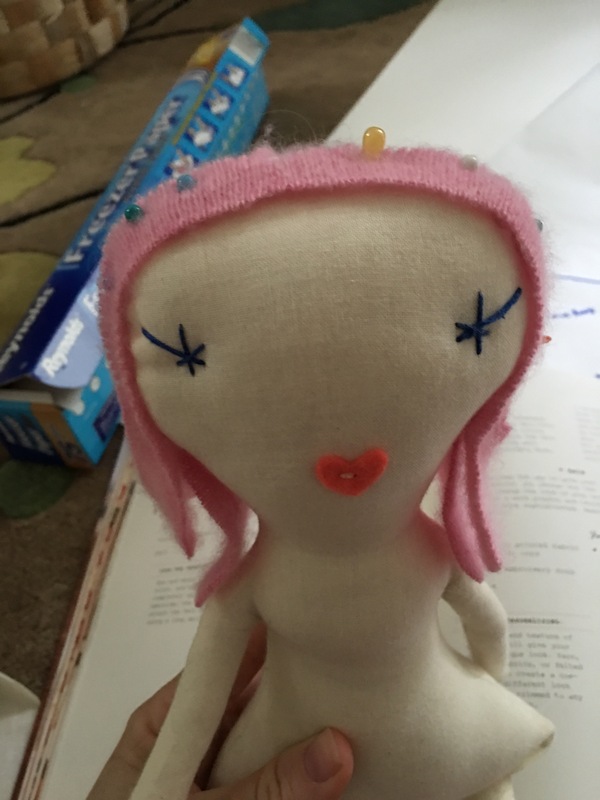 The hair is one area where the book could give more guidance in the way of pictures of the back of the dolls’ heads. 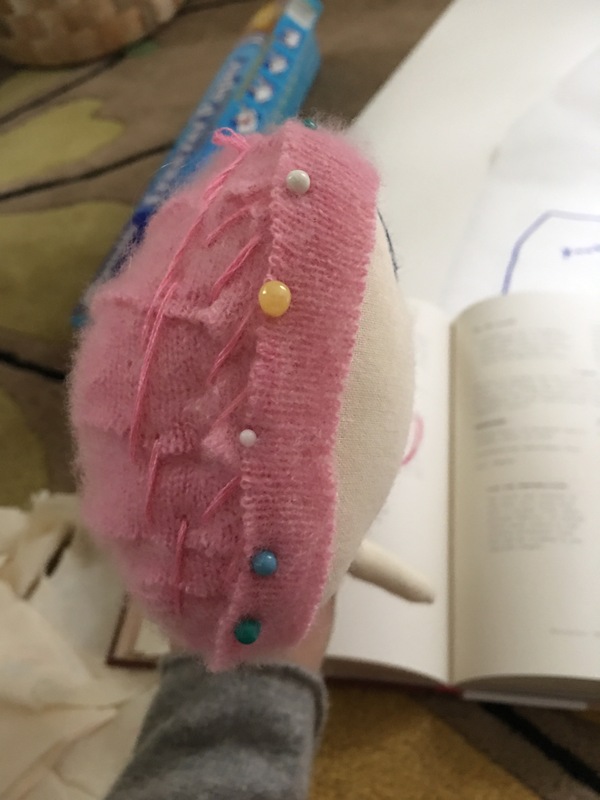 I went with vertical strips around the back of the doll’s head, and one horizontal one along the top to cover the overlapping strips. 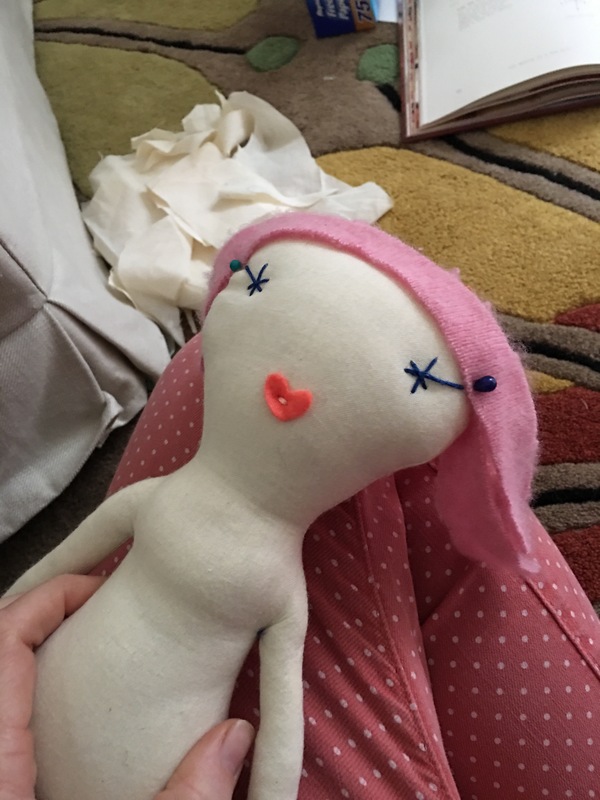 All ready to stitch down the rest of her hair and start working on clothes and accessories.